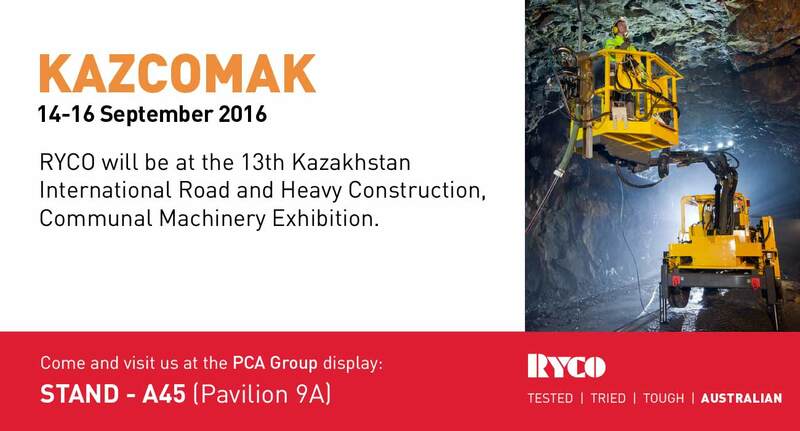 RYCO to exhibit at the 13th Kazakhstan International Road and Heavy Construction, Communal Machinery Exhibition. RYCO will be supporting PCA Group at Stand A45, Pavilion 9, to show case our mining products and capabilities including JSEAL™, the CROCSTOP System, and ISOBARIC hose displays. Kazcomak is the main specialised exhibition in Kazakhstan, attracting key international and major local companies engaged in the development of quarries, production of asphalt, road patching and renovation, construction of industrial projects, housing and public utilities construction.